I've heard people rave about Hosseini's books, both the Kite Runner and this one. And while I haven't read the Kite Runner, I can honestly say that this one deserves the praise. My copy had 387 pages and the story never once seemed to drag. I immediatley felt connected to Mariam. From a young age, she hasn't had an easy life. And it doesn't really get better for her. I was SOO rooting for her to find happiness and someone to love who she wouldn't be taken away from. I felt she had such a big heart and so much love to give, but was never given the chance. Mariam is a really strong woman, she's faced every hardship coming her way and she really is someone to look up to. 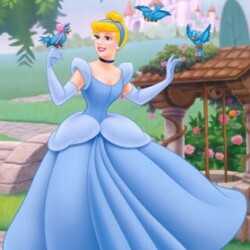 OMG, I cried when she was executed! She was so brave and such a beautiful person. I so wanted her and Laila's escape to work and for Mariam to finally get a break. I don't know very much about Afghanistan as a country. I know about the war and I know what's shown on television, but that's not what makes a country the way it is. This book has shown me its history and the daily life of someone who lives there and I really appreciate the view from this point. The romance between Laila and Tariq was beautiful. I also really enjoyed the slowly developing friendship between Laila and Mariam, both brave women that find a way to make a life together, even with an abusive husband. 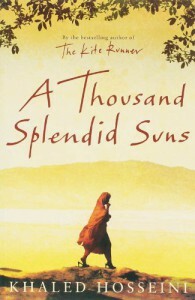 "One could not count the moons that shimmer on her roofs, or the thousand splendid suns that hide behind her walls." I absolutely loved this book, for me it lived up to the hype and I immediately passed it on to my mother, who I'm sure will enjoy it as well.